Sriracha is just a name of a sauce similar to ketchup or mayo, explains Musahi president Gideon Sarraf. 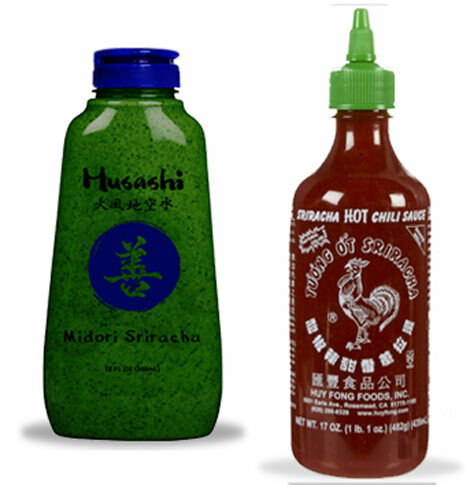 Musahi makes its green version of Sriracha with Serrano chiles from Peru and Mexico. “It’s more fresh tasting and has a bit more of a kick,” says Sarraf. The green Sriracha went on sale April 1st, and a bottle is available for $4.99 on the company website. ABC News reports that green Sriracha is also available in a few retail stores in New York right now, but that Sarraf is “in talks with ‘a ton’ of distributors and retailers.” He says the goal is to get his product mainstreamed into supermarkets as soon as possible, and said he had no interest in limiting it to gourmet or specialty shops. 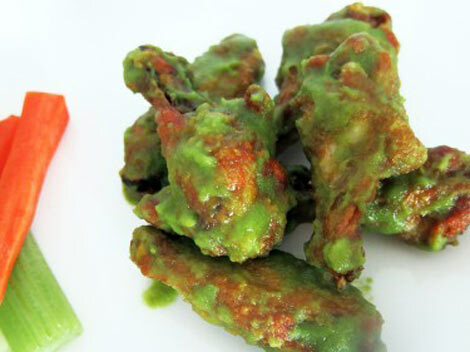 Also listed on the company website is a recipe for crispy green Sriracha wings which we’re about to go make right now for lunch. Bye.